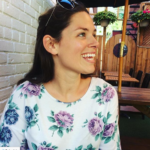 Samantha Labriola is a Toronto writer and stay-at-home mom to her toddler daughter. Although she thought she was prepared for motherhood, she quickly discovered that owning an extremely stubborn dog, having a degree in Greek mythology, and reading the entire Baby-Sitters Clubseries as a 13 year old are not necessarily things that help one become a parent. She writes about finding the humor in motherhood on her blog, Mother Haggard.